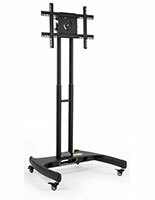 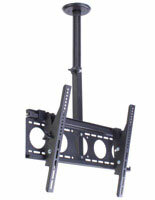 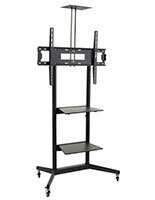 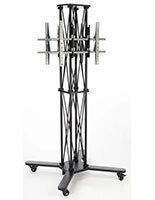 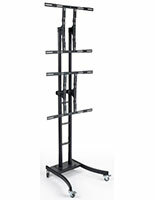 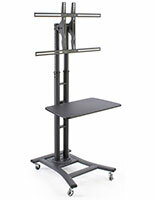 TV stands that support 33" to 47" flat screens come in all sorts of models for the professional. 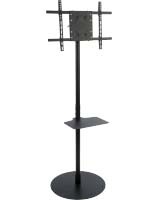 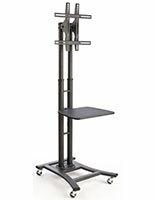 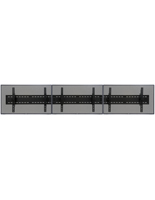 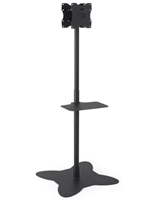 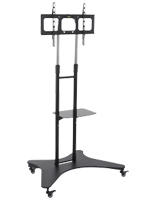 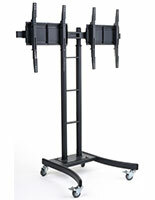 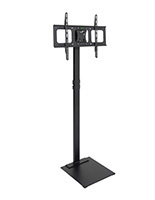 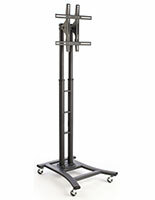 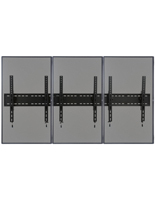 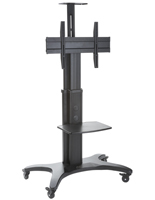 From wall mounted work stations to mobile video stands, our in stock inventory of racks and mounting brackets offers the biggest selection online. 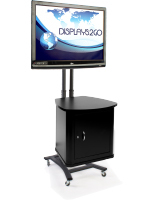 Mid-range monitors manufactured by Samsung, Sony, LG, Panasonic, and many others have a place in today's working environment and are stock equipment in classrooms, conference rooms, and waiting rooms. 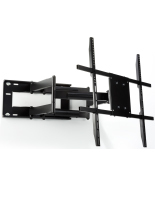 Rest assured that each and every model comes with VESA-compliant mounts that guarantee the mounting holes on your TV will match the holes on the bracket. 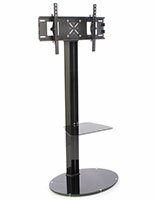 TV stands can be purchased with or without wheels, depending on the application. 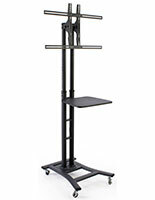 Shelves located beneath the mounting brackets store A/V equipment while the smaller top shelf provides a camera spot for video conferencing. 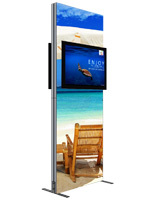 Trade show exhibitors use digital signs in their booths, requiring special knockdown designs with travel cases. 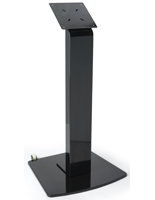 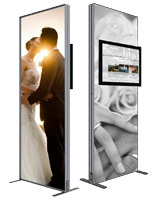 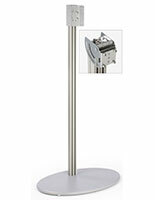 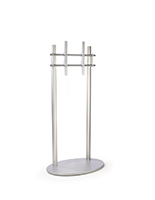 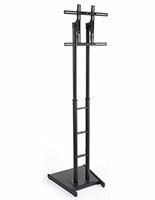 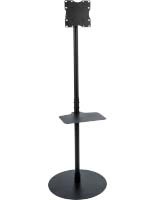 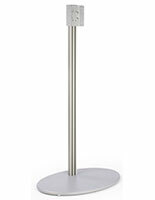 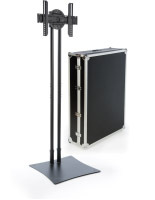 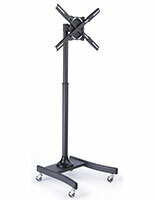 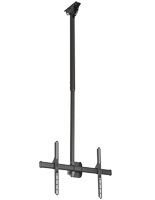 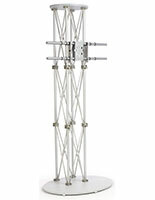 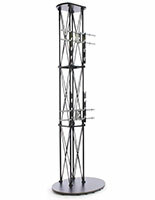 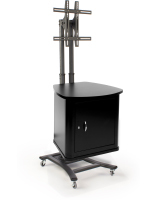 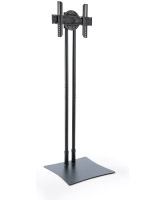 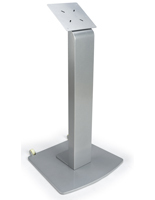 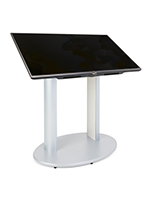 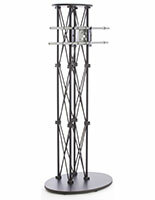 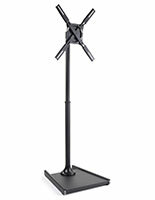 We also offer floor stands that display more than one screen that doubles your marketing capacities. 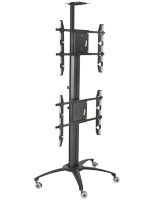 Suspending TVs from the ceiling calls for more specialized uses. 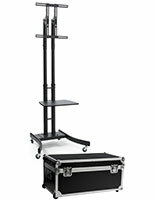 When a floor stand takes up too much space and a wall mount bracket not possible, the ceiling provides the third display option. 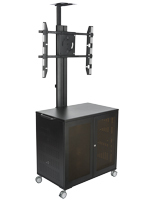 In the case of airports and other public spaces where screens need to be seen by a great many people, a ceiling mounted TV makes sense, especially if double-sided models are applied. 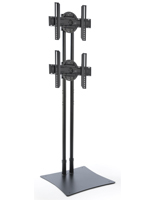 These styles can tilt up or down as well as pan 360°, providing perhaps the greatest maneuverability out of all monitor mounts. 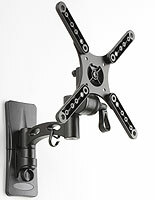 Shopping for a wall mount TV bracket? 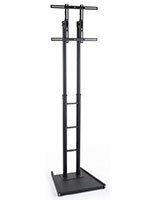 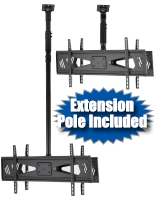 We sell fixed models, mounts that tilt, and fully articulated extension arms able to accommodate any mid-size flat panel TV. 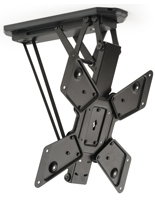 Priced most affordably, wall brackets are among the least expensive out of all our fixtures, and there is a model to fit almost every make. 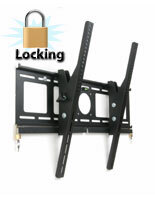 Weight restrictions do apply however, so we recommend reviewing the technical specifications on each product page to verify a mount can support your flat screen TV.